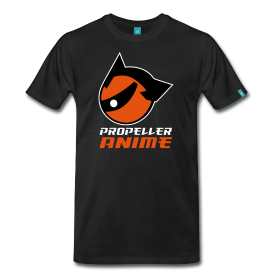 Propeller Anime: Holiday Party Updates! Prizes & A NEW Act Confirmed! First off, we are pumped for a great crowd to come out to the event. We have been checking out the Facebook event page and things are looking fantastic so far. If you haven't RSVP'd yet, make sure you do so! We hope as many of you bring items to donate as possible. 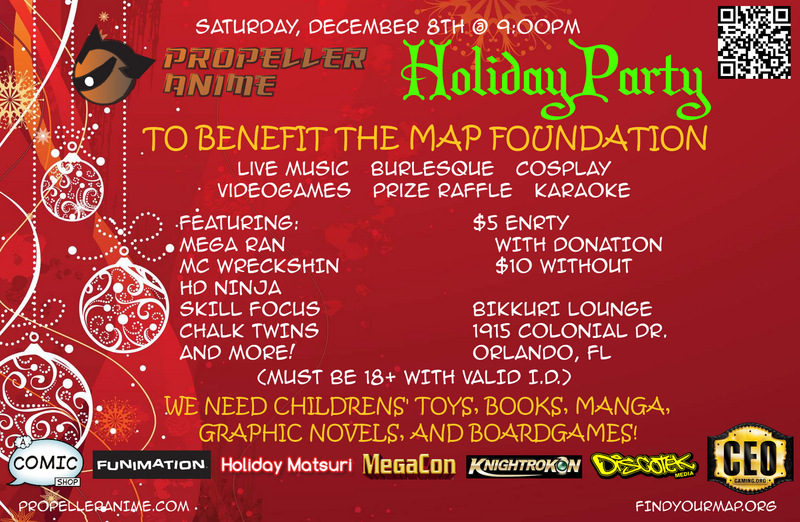 The MAP Foundation will make sure that all toys, books, manga, graphic novels, and boardgames get to the appropriate charities they support. Plus all profits from the event and the money raised for the Chalk Twins silent auction will go to those charities as well. Let's talk about winning free stuff! With entry into the event, you will receive a ticket that will enter you into our prize raffle. Hold on to that ticket because in-between performing acts and during karaoke, we will call out numbers for prizes we're raffling off. You can buy additional raffle tickets at our table for more chances to win! As you can see from our latest promotional graphic, we have some tremendous sponsors supporting us and providing prizes! 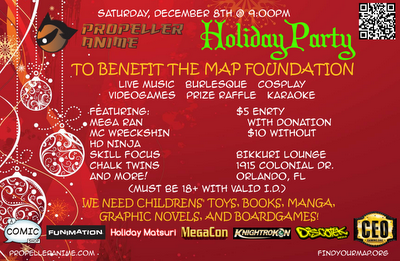 We'll have anime, gift certificates, convention passes, posters, and plenty of other prizes you can win just by showing up! We'd like to thank A Comic Shop, Funimation Entertainment, Holiday Matsuri, MegaCon, Knightrokon, Discotek Media, and C.E.O. Gaming for providing us with a lot of cool stuff to make our party even better! Some of our sponsors will be at our party as well which we greatly look forward to! 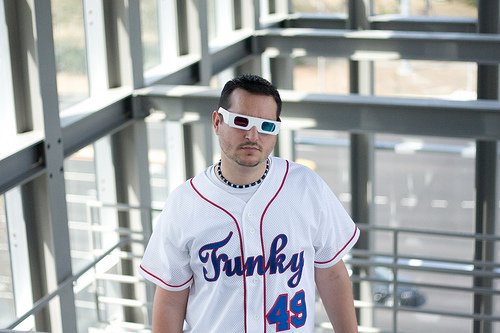 Joining our musical lineup of Mega Ran, MC Wreckshin, and HD Ninja is Tampa's own funky49! We just saw him perform recently at N3RD NIGHT and we dug his act and energy so we had to get him. How could we not have a dude who raps about SCIENCE!? 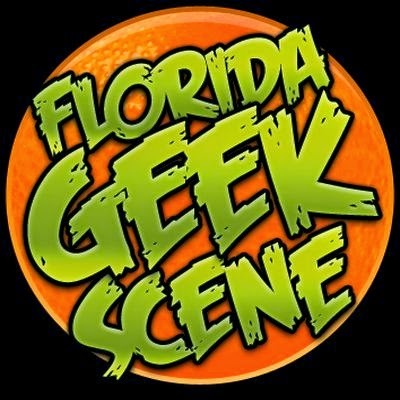 funky49 is a rapper and science enthusiast from Tampa, FL. In 2012 he has performed at the USA Science & Engineering Festival, the Smithsonian National Air & Space Museum and the St Petersburg Science Festival. He has presented on the topic of science & hip-hop at TEDx, Fermilab and the National Academy of Sciences. funky49 was named a “Nerdcore Hip-Hop All Star” by Wired magazine. His album "Starblazer" is available on iTunes & Amazon. Other works are available at funky49.bandcamp.com. Just like that, our party gets even better! The next week and a half is going to be crazy and we look forward to seeing you on December 8th!